Elkhart Catering provides a comprehensive range of catering services for wedding reception and similar events. We offer tailor made packages to suit different budgets and other requirements. Throughout the year, our staff has a packed schedule of serving at weddings in accordance with bookings of clients. They'll sit down and discuss the best possible options available to design the bespoke menu. We will make the wedding reception special and unforgettable with our quality catering services. We have the experience to deal with your specific requirements. Wedding reception comprises of people completely immersed in a relaxed and merrymaking mood. Our expert professionals will come up with ideas on creative cuisines and innovative styling. They'll serve with a trademark touch in accordance with eco-friendly techniques. We aim to provide standard food along with professional and friendly services. The expert staff is always at your side from first enquiry till the departure of last guest. Our menus and services for catering at wedding reception are designed offer as many choices as possible. We have a flexible approach to work in various challenging environments to present you the best as per professional standards. We can provide you a quotation as per the information provided after the first enquiry. We can provide you with details on menu suggestions according to your specific budget. We aim to maintain transparency in our dealings and will explain the possibilities of additional costs. Afterwards, a meeting would be arranged at your chosen wedding reception venue. This allows us to gain a deeper knowledge of venue facilities to check out access. We'd be glad to serve you and your guests irrespective of the menu chosen by you. You are free to discuss the finer details of the event and suggest dietary arrangements if required. We'll inform you clearly regarding the additional costs that would be involved should we have to make any adjustments or rearrangements outside of the package. Due to experience gained by us as a full service wedding caterer, we can be flexible with last minute changes in menu and staffing. We work closely with our suppliers and local partners to provide you with expert catering services at a competitive price. Irrespective of venue and guest numbers, we can serve drinks to evening buffets, marquees to formal banquets, etc. 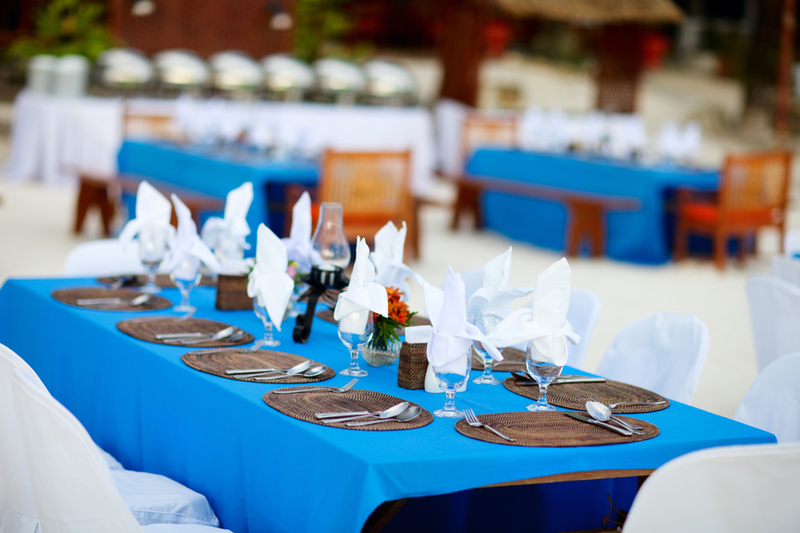 We'll make sure that guests enjoy the entire day at the wedding reception without worrying about what's coming. After a booking confirmation, you can come into our kitchen for tasting the ordered menu. We make sure that our customers proceed with an informed decision. Irrespective of the choices made by you, our wedding reception catering comes in different sizes. To cook and serve the guests on site has been a long time occupation and we have the expertise of dealing with guest numbers. We've created a wide selection of menus for our clients as per their taste and specifications. You just give us briefs and we'll plan and executive everything smoothly and timely without any hassle. Browse through our website pages to get a fair idea and contact us as soon as possible with your catering specifications.